Home Destinations It’s Cold, Tell Me More about the Top Caribbean Winter Escapes! Is the cold getting on your nerves? Maybe the little fireplace you have is not helping much. Well, there is only one thing to do – escape to the tropics by booking cheap flights to the Caribbean. Speaking of tropics, nothing can be compared to the Caribbean warmth and the open sunrays. These Caribbean hotspots offer warmth year-round winter season. Offering a shield to the cold, the wonders of St. Bart’s comprises the finest beaches, top-notch spas, modish restaurants and several resorts. The picturesque snap-shots of the bejewelled island are not only a treat to the eyes, but also to the soul. The turquoise, calm waters offer a few activities to visitors. Escape towards the lush palm trees with a hitch and enjoy relief from the year-end cold climate. An enjoyment between two diverse islands can prove to be fabulous. St. Martin offers a French culture in the north and a Dutch atmosphere in the south. The choice is up to you totally. Both these places brim with opulent resorts, luxury shopping and undying nightlife. Curacao allures you with black and blue. The after-dark nightlife adds to your vacation when you relish the fervour of blue liqueur. Snorkelers will surely have a gala time in Curacao. Winters would hate coming towards this popular tropical heaven. 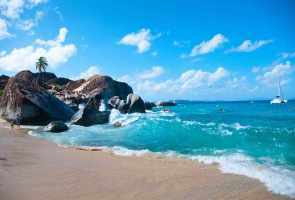 A large part of the British Islands, Tortola offers hiking, volcanic sites and beaches to-die-for. It is one of the top destinations to get tanned and enjoy the golden sun. 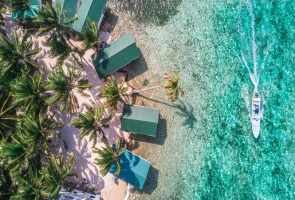 Listed as one of the renowned places in ‘1000 places to see before I die’, the Grand Cayman is a treasure trove for beach bums and underwater explorers. The island is approximately 22 miles long and 8 miles wide. That is enough area to soak the warmth up. 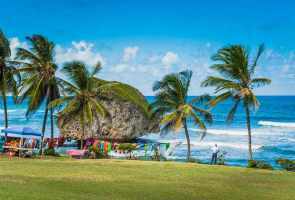 Barbados is the most sought-after winter spots that offer thrill on two vast ocean surfaces – the Caribbean and the Atlantic. You can enjoy golf, touring botanic gardens and lush plantations. Home to Blues and Jazz festival, Jamaica also offers a bit of culture along with your Caribbean getaway. You can also visit museums, art galleries and attend dance classes. Hope you do not mind adding a bit of volcanic excursion to your Caribbean getaway. 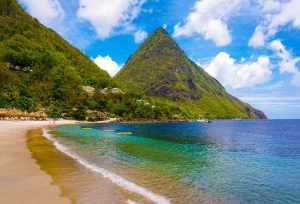 Pitons are the two steep mountain peaks situated on the west coast of St. Lucia. Dotted with luxury resorts, immaculate beaches, hiking trails leading to rainforests, St. Lucia is a gem of the Caribbean that should not be missed. 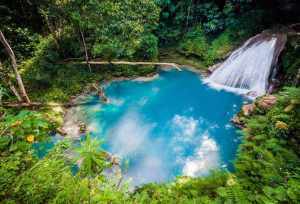 Situated on the eastern Atlantic coast of Latin America, Belize sizzles with beaches and rainforests. Visitors can have an adventure of their life by exploring Mayan ruins and dive to admire the Belize Barrier Reef. Next articleWhat Would Las Vegas Look Like This New Year’s Eve!